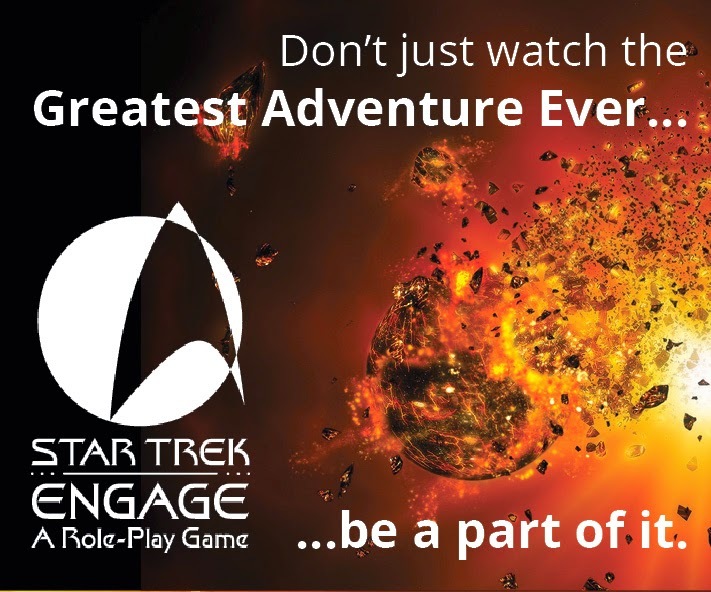 Some Kind of Star Trek: Final Frontier: Remember the Mag? 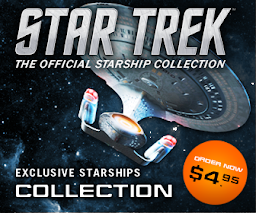 My childhood was peppered with literary Star Trek. Mainly because the internet was horribly slow and whirred and clanked like a washing machine when you attempted to look at anything with a single image or bigger than a postage stamp. 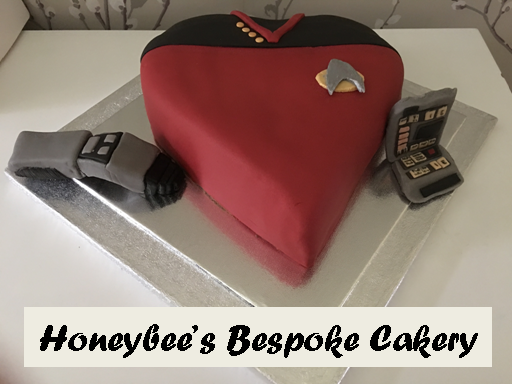 Invariably it was a novel from Pocket Books or one of the many reference works that hit the shelves fairly regularly in the 1990's but there was one production house that produced two works which came and went almost as fast as the Enterprise at warp. I'm talking about the work of Trident Comics. 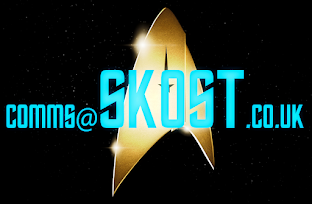 They might have gone out of business almost 24 years ago but I still vividly remember the material they produced and it came at a very formative stage in my Trek-ucation. The first was their Star Trek comic. Now I wasn't a huge follower of this when it came out in 91/92 and only managed to grab a couple of issues. However, checking out the microscopic amount of detail that exists about the series it seems that it was just a reprint of the US DC Comics Star Trek stories and nothing original. At least when we did Transformers in the UK we filled in gaps with original tales. What I do remember about the comics was the Mirror Universe story set within the movie era. It was...ok...I suppose but my memory is a little hazy and the two (yes, just two) issues I had went AWOL a few years back. I suspect they ended up at a recycling centre along with my Star Trek VI magazine. Yes, I am annoyed, yes I did cry a little. 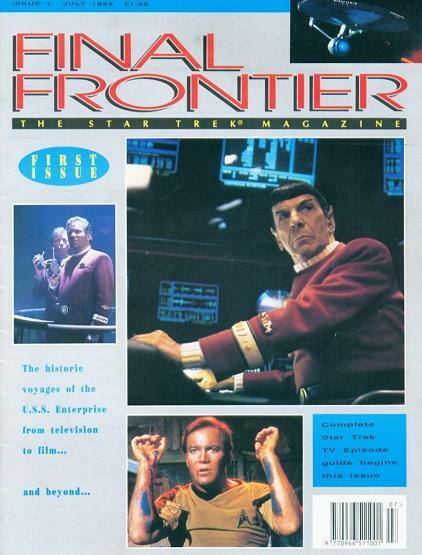 What I do have a stronger memory of is the Final Frontier magazine. The first issue was amazing. There was nothing else like it around and I was hooked. 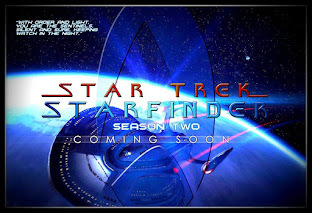 It catered for my need for Star Trek in every way - a nicely presented episode guide to season one of The Original Series with decent enough pics plus an interview with William Shatner about everything from Star Trek to TekWar and then some plus a great article on the movie USS Enterprise refit which had been lifted straight from Mr Scott's Guide to the Enterprise. While 100% unofficial and with a ton of wrong dates at the tip of that iceberg it's a good read with some well done plans of the ship interior. 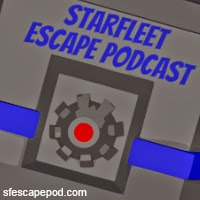 The subsequent three or four issues were of the same calibre; episode guide for The Original Series, few interviews and articles on the upcoming Deep Space Nine, some background on how The Next Generation evolved as well as its lost episodes. What more could you ask for? Everything seemed to be going well for the publication and I was having one reserved at the newsagent each month to be sure of getting it. Trouble was as we hit issue six and beyond there was a drop in quality that was less than conspicuous. Gone was the episode guide and The Next Generation one was a two side pull out devoting just a line of synopsis to each story plus the writing and directing credits from Encounter at Farpoint through to Redemption. The interviews dried up slowly and the articles relied on a large font size and blurry, badly selected pictures to accompany the sprinkling of text. The front covers seemed to become less professional and very scrappy with bigger photos and splashy text after such an impressive first issue debut. Add in as well that for your £1.99 the magazine had become painfully thinner as each month passed but that had been disguised by putting in two A2 folded posters which bulked out the publication (or even a "collectors postcard" stapled to the cover). Some of those were great especially the season two cast shots from The Next Generation but others were just as out of focus and blurry as the smaller versions in the magazine. The one I do remember as the worst offender was of two Klingons being phasered on Gorkon's ship from The Undiscovered Country. Terrible. With very little regret, I stopped getting Final Frontier and I think I started to get TV Zone which was just previewing the seventh season of The Next Generation. 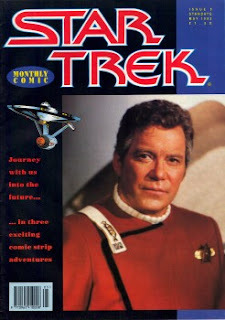 Looking across the internet you can still see a few copies of the magazine fluttering around eBay for a smattering of pennies but the higher quality magazines that were available or starting to arrive on shelves at that time blitzed it in every way - SFX, Dreamwatch, Starburst, the lamented Starlog and then there were the official Star Trek magazines for each series that were produced in the US and detailed every aspect of the show and then some. 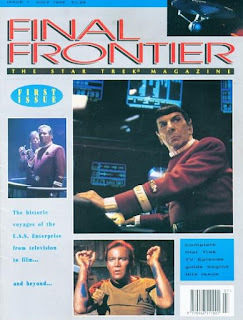 While Final Frontier was 100% unofficial in a time when getting to create a Star Trek magazine was a tricky and delicate process, it was certainly forward thinking - at least at the beginning. I'd love to talk to anyone who was involved with the production so if anyone out there does know someone, please let me know! 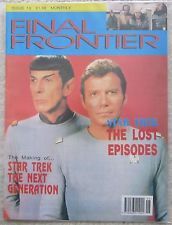 Still have a few issues of Final Frontier lying around? Did you even know it existed in the UK? Do you have contact with anyone who helped produce it?